In his lecture, Wouter J. Hanegraaff gives attention to the somewhat neglected history of mesmerism in German Romantic culture, and more specifically to its impact on the historiography of Western esotericism. The central figure in his story is Joseph Ennemoser and his works. In the context of German Romanticism, mesmerism developed into a direction that was strongly different from what we find in other countries such as France or England. The origins of this specific development can be located very clearly: it all began with a medical theory proposed in 1807 by the respected physician Johann Christian Reil, and adopted by Carl Alexander Ferdinand Kluge in his influential textbook of animal magnetism published in 1811. This theory distinguished between two separate but mutually complementary nerve systems, the “cerebral system” (brain and spinal marrow) and the “ganglion system” (centered on the solar plexus), which were presented as the organs of the conscious and the unconscious soul. The basic concept was quickly adopted by a whole series of major authors, including Gotthilf Heinrich von Schubert, Georg Wilhelm Friedrich Hegel, Joseph Ennemoser, Johann Carl Passavant, Dietrich Georg Kieser, Carl Joseph Hieronymus Windischmann, and Justinus Kerner. They appear to have agreed that through the ganglion system, we have access, in Schubert’s influential formulation, to the mysterious “nightside” of nature. 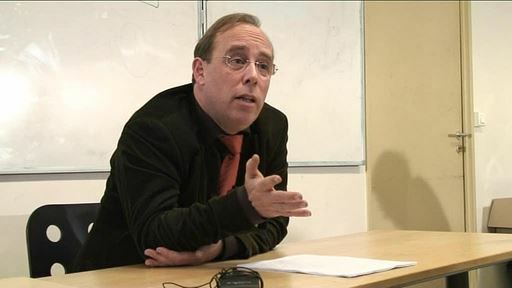 In this lecture, Wounter J Hanegraaf emphasizes Ennemoser's three innovative features: (1) his use of mesmerism/somnambulism as the heuristic “key” for tracing the history of magic, (2) his evolutionist/providentialist vision, and (3) the religionist nature of his approach in general. Are you akeen to discover the hidden face of Man and Nature ? Response of the autor in his 41-min lecture filmed at La Sorbonne (Paris). Please note that this conference was organised by Jean-Pierre Laurant on behalf of Politica Hermetica.